In an age when healthcare is rapidly changing and people are looking for solutions beyond drugs, injections, and surgery, we are proud to offer state of the art treatments and procedures that will improve your health with the utmost safety and precision. We are committed to being a leader in developing a healthy community by empowering individuals and their families to achieve their goals. Lakeview Chiropractic is celebrating its 20th anniversary this year! Affectionately known to my patients as “Dr. J.,” I am also a Reiki practitioner. In addition, I have received an Associate Degree in Law Enforcement from Schoolcraft College, and a Bachelor of Science degree in Criminal Justice from Madonna University, both located in Livonia, Michigan. My previous employment experience includes eight years as a police officer with the city of Inkster, Michigan, and five years as a Youth Specialist with the State of Michigan. I like to cycle, as well as kayak the many rivers and lakes offered by the Blue Water Area. I have been practicing chiropractic in the Port Huron area for 15 years and love living in my home town where I can serve my community. I enjoy the outdoors, as well as the many activities that Michigan and the Great Lakes have to offer. I have found Port Huron to be a great place to grow up and also raise my young family. I am committed to helping families in the community experience improved health and vitality. I enjoy educating others on how to better manage stress, prevent injury in the workplace and at home, and maintain peak performance in all facets of life. My mission is to empower as many people as possible to experience their optimal health potential through genuine chiropractic care and health education. As a native of Port Huron, I attended St. Clair Community College and received an Associate in Science degree. I moved on to study biochemistry at Northern Michigan University and Wayne State University. I received my Doctor of Chiropractic at Life University in Atlanta, Georgia, which is the largest college of chiropractic in the world. In the office I may also perform physical therapeutics and recommend rehabilitation techniques at home. I am certified in Strength and Conditioning through Texas Chiropractic College, and will soon be a Diplomat in Chiropractic Sports Medicine. My passion for chiropractic and genuine concern for others drives my pursuit of excellence in my work as well as my service to the community. I welcome all who seek a higher level of wellness and health, including patients with chronic low back pain, headaches, neck and shoulder pain, sports injuries, pregnant women, and children. Is a native of Michigan, growing up in the town of St. Johns. He attended Kalamazoo Valley Community College and received his Associate of Arts in General Studies. Graduated from Logan College of Chiropractic in Chesterfield, Missouri where he earned his Bachelor of Science in Life Science and Doctor of Chiropractic Degree. 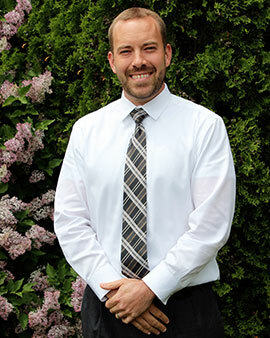 Dr. Poff comes from an extended line of health care physicians with his father, grandfather, aunt and uncle choosing the profession of Doctor of Osteopathic Medicine. Being raised in that frame of mind, he knew early on that his life would occupy helping others. 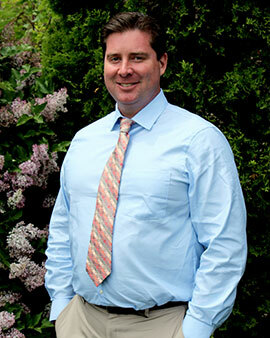 Dr. Poff enjoys learning as much as he does teaching others what he has learned throughout the years. There is no greater reward than providing care and helping patients understand what is the cause of their pain. Throughout high school and college, he was involved in numerous sports and continues to stay avid about living a healthy lifestyle. Dr. Pesta, a native of Port Huron, pursued his undergraduate education at St. Clair Community College and Central Michigan University. He received a bachelor’s degree in Human Biology from Logan College of Chiropractic in 2015. He graduated with his Doctorate Of Chiropractic from Logan in 2017. In his spare time, Dr. Pesta enjoys weight lifting, running, water sports, hiking, biking, and spending time with his friends and family in the community. He joined Lakeview because of the positive impact Lakeview and Port Huron has had on his life. He wants to give back to the community that has helped him grow personally and professionally. Our massage therapy team works closely with our doctors to bring you the most accurate therapeutic results and fastest recovery. This truly integrated approach helps accelerate your healing process. I graduated from Lakewood School of Therapeutic Massage in 2003, and since have been a member of AMTA (American Massage Therapy Association). I have been a member of the Lakeview Chiropractic staff since 2004. I am board certified in therapuetic massage and body work. I have also had additional training in Bamboo massage, Hot Stone massage, Prenatal massage, Trigger Point Therapy, Sports massage, Swedish massage, and Table Shiatsu. Some interesting things about me are that I came to Michigan by way of Wyoming and Montana and grew up in Detroit on the southwest side. I am married with a son, 3 daughters and 2 step sons. A married step son in California, a son studying electrical engineering at Lawrence Tech, a daughter studying statistics/biology/health and gender studies at U of M (and a senior, hooray! ), a step son at Western Michigan studying computer engineering, a twin daughter at Central Michigan studying athletic training and a twin daughter studying at SC4 and then planning on continuing with nutritional science at either Wayne State, Western or Central Michigan. I Love to read, walk, run, bike ride, garden, eat ice cream and play with cats, of which I have 3. I haven’t climbed Mt. Everest, but I have climbed glaciers in Glacier National Park! If I can’t live by the water, I’d live by the mountains in Montana. 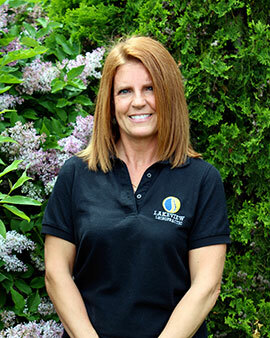 My name is Linda and I’ve had the pleasure of working at Lakeview Chiropractic since relocating to the Bluewater Area in 2009. I graduated from Irene’s School of Myomassology in February 2004. I’ve worked in spas and salons in Oakland County prior to moving to the area. I love being able to help our clients reduce stress, pain and muscle tension with the benefits of massage. It’s a very rewarding job to be able to make people feel and function better.I am married, and the proud mother of 3 children. Two daughters, one son, and a fuzzy feline name Lucy. I love hiking, biking, traveling, reading, cooking, and spending time with friends and family. I graduated from Baker College in 2012 with an associates in Applied Science with a certificate in massage. I have been a member of the Lakeview Chiropractic staff since 2013. I like helping people to feel at ease during their massage, and to have them leave the room feeling relaxed and rejuvenated. Some interesting things about me are that I am married with 2 grown children. I am a huge Yoga lover. I also have a huge heart for animals. I served 9 years in United States Marine Corps before getting into massage therapy. I also have recently completed my Masters degree in Emergency and Disaster Management. 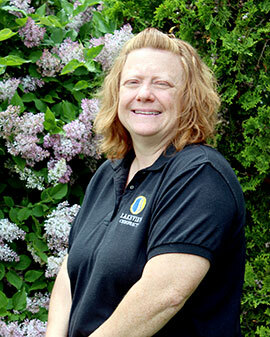 I started my massage career at Baker College of Port Huron in 2005. I received my certificate degree of massage therapy in 2006. 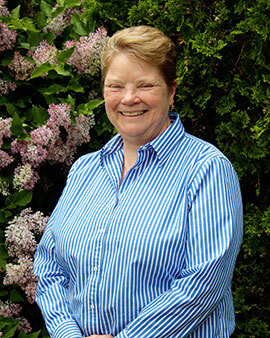 In 2007 1 graduated earning an Associates Degree of Applied Science majoring in Therapeutic Massage. I’m a licensed Massage Therapist, Board Certified for Therapeutic Massage & Bodywork. Since graduating I have worked at Kamego Chiropractic, A Day Away Spa and I’m currently employed here with Lakeview Chiropractic where I’ve been a part of the team since 2014. I specialize in deep tissue, and trigger point therapy. I’m also trained in sports massage, pregnancy massage, hot stone massage and lymphatic drainage. Certified in reflexology and raindrop therapy an essential oil massage. What was just a dream when I started working with our office, has become a reality. 3 years ago I went back to school to learn how to massage my other passion. A Horse! I became Certified in Equine Sports Massage (CEST) and Equine Rehabilitation Therapy (CERT). I’ve been with my husband for 30 years. We have 3 children and 4 grandchild my pride and joys! I have 2 dogs and my horse Eclipse who is my best friend. I love the outdoors, horseback riding, bonfires and good company. I’m a country girl at heart. I consider myself a lucky gal. While at work, whether at the office or in a barn. I’m helping heal the mind, body and soul naturally. I get to help others reach their goals. So come in and see me. I’d love to meet you and together we can work on reaching your goals too. 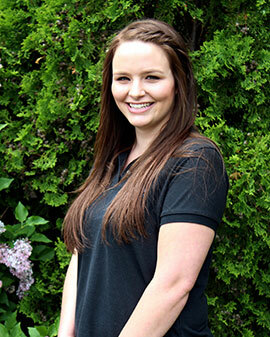 Michelle joined the Lakeview Chiropractic team in October of 2015 and has been a licensed massage therapist since 2011. 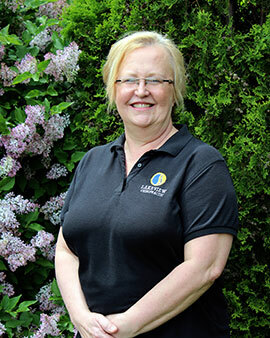 She has spent her career in the realm of healing others from studying nursing, assisting patients with mental illnesses, delivering in-home care to both people with disabilities and the elderly community as well as practicing massage therapy. Michelle believes in enhancing physical, mental, and emotional well-being through the calming therapeutic experience of massage. She believes we all contain the innate ability to heal and uses an intuitive approach to create the ideal environment for you to unwind. 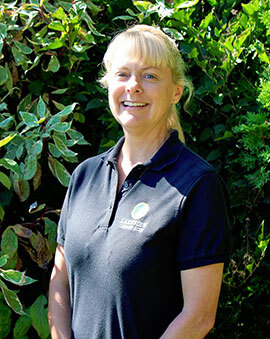 She slowly engages with the body to assess needs and uses a combination of massage techniques to deliver a relaxing and restorative experience. In Michelle’s personal life she also enjoys promoting a healthy state of mind and body within herself as well as among her three daughters. 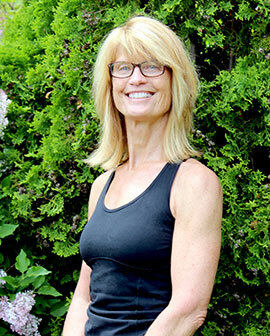 She is dedicated to daily exercise and holistic practices. Family and friends often benefit from the dozens of homeopathic remedies Michelle enjoys crafting in her spare time. 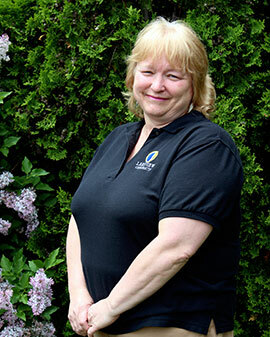 Our clerical staff strives to give you a welcoming environment from the moment you step foot in our facility. They are here to greet you, make you comfortable, answer any questions or concern, handle billing, appointments, and make sure you see your Doctor promptly. I have had the privilege of working at Lakeview Chiropractic alongside Dr. McMath since 2002. Dr. McMath’s knowledge and desire for it is infectious. “To laugh often and much; to win the respect of intelligent people and the affection of children; to earn the appreciation of honest critics and endure the betrayal of false friends; to appreciate beauty; to find the best in others; to leave the world a bit better, whether by a healthy child, a garden patch or a redeemed social condition, to know even one life has breathed easier because you have lived. This is to have succeeded. 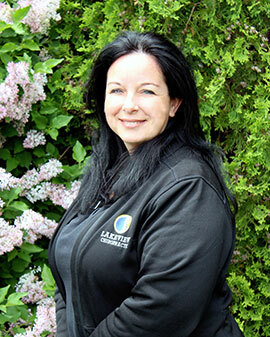 I joined Lakeview Chiropractic in the fall of 2005 as a CA Biller, and I have over 20 years of billing experience. I received my accounting degree from Port Huron School of Business. My family including my mom have been patients of Dr. McMath’s since the 1990s. It is great to work in an environment that feels like an extended family. As for my family, I am married with two grown children and we have been blessed with 7 grandchildren. We also have one rescued fur baby. During my spare time, I love spending time with my family, including playing cards and board games, rescuing old furniture and restoring it, doing crafts with my daughter and grandchildren, and taking long drives down the country dirt roads. I’m a Chiropractic Assistant at the front desk. I came to Lakeview in November 2013, looking to expand my knowledge, and get reacquainted with the area I grew up in. I truly enjoy people and what I do here. That’s what makes my “job” more like a “fun day out.” I’m married and have two awesome children. In my “spare” time, I like to refurbish furniture and host game nights with friends and family. I’m also an avid Hallmark watcher. Mostly because it sends a positive message. I feel we do the same thing here at Lakeview. Our Doctors educate our patients while using controlled techniques to improve spinal motion, and offer recovery solutions. I’m glad to be included in such a positive setting, all while having the comfort of a family. I am a Chiropractic Assistant here at Lakeview Chiropractic and have been here since September 2013. I enjoy helping all of the patients that come into our office. I love seeing the change that people go through when they first come in and watching them get the help they need and feel better. It’s also a lot of fun for me to get to know the patients, and build fun working relationships with them. Since working here, I’ve been able to watch and speak with the Doctors and massage therapists, and go to some seminars to further my knowledge with chiropractic, and begin to build my knowledge with nutrition and supplements to further help our patients. I like being able to build that knowledge, share it with our patients, and see them benefit from it. I have lived and worked in Port Huron since I was a kid. I am married to my best friend Garrett and look forward to building our lives and family together. We have an adorable little dog named Mac that goes and does everything with us. In my spare time when I’m not working, I love to watch movies, spend time outdoors, and hang out with my friends and family. I have had the pleasure of working at Lakeview Chiropractic since 2013 as a CA Biller. I attended the Practice Management Institute (PMI). I am a medical coder and have my medical secretary certification. Before working here I previously worked 25 years in a medical office, and in 2008, became a first-time chiropractic patient here at Lakeview. I was amazed at what a difference it made in my health and was very impressed by the care I received and how friendly the staff was, now I get to be a part of it. On a personal note, I am married with no children – just animals (Llamas and Alpacas). My husband and I belong to the MTFCI (Model T Ford Club International) – in which we travel throughout the US and Canada with our model T’s. 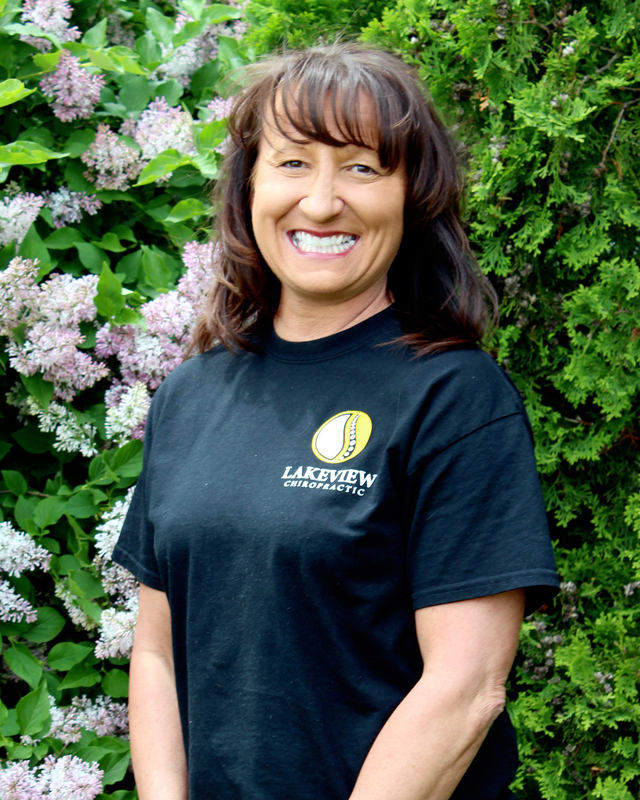 I started working at Lakeview Chiropractic in June of 2018 after graduating from St. Clair Community College with an Associates degree in Applied Sciences and Radiologic Technology! I am the X-ray Technologist at Lakeview and also assist Dr. McMath and the other doctors to give all our patients the best quality of care! I have been a chiropractic patient with Dr. McMath since I was very little so I knew that coming to work at this office I would feel right at home, and I was right! The future for me is to continue my education on to my love for Nutrition and the need to help others! Which I have started by becoming a Yoga instructor and I can not wait to begin teaching our community!